Since the early 2000’s, patient centered care, patient satisfaction, and the patient experience have become a major focus for healthcare. Hospitals and healthcare networks have adopted and adapted to the idea that the patient experience is the center of it all. Now, these same healthcare networks and hospitals are tasked with tracking and analyzing the events that contribute to a negative or positive patient experience. In addition to understanding this data, hospitals need to be able to quickly react to negative interactions and experiences to avoid similar conditions in the future. Completing patient experience rounds can be done using several methods. Using a manual paper process is not only time consuming but it is also not real-time, not reliable and is prone to data entry errors. Using an automated solution allows a healthcare organization to measure patient experience, determine areas of improvement, and increase HCAHPS scores much more quickly and easily. Robust Rounds for All Aspects of Patient Experience. Ensure the solution can assess the hospital system, the physical environment, patient interactions, and the quality of care. Content Creation. 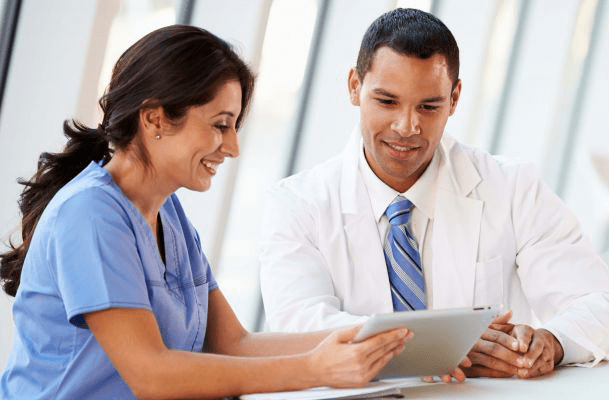 A fully robust patient experience solution will provide for out-of-the-box rounds to help an organization get started immediately but also provide the ability to create custom rounds based on an organization’s workflow or needs. Rounds should be allowed to be as long or as short as required. Mobility. Often times caregivers must go directly to the patient to complete rounds or surveys. This is much more efficient when a mobile application is available. Using laptops, iPads, or smartphones, nurses can complete rounds while in the field. Ability to Route Issues or Deficiencies. When discovered during a round, any deficiencies should be identified and routed to the appropriate personnel for corrective action. Analysis. All of the data gathered should be easily analyzed through a robust reporting tool. Reports on employee or team performance, areas that require improvement, and CMS reimbursement should be readily available. Vendor Industry Knowledge. Select a vendor with experience in the healthcare industry that has the ability to work with your organization to ensure success. Evaluate vendors against these criteria to determine the best vendor that provides the best solution with easy data collection along with quantifiable data.